Before turning to directing, Barry Barclay did more than five years training to become a priest. That experience surely percolates through his film Ashes, with its reflections on identity, spirituality and living (or feeling) apart from others. The film centres on the thoughts of four people: an artist, a woman struggling with her identity as a high achiever, an actor, and a priest. Are all of them acting, or only Sam Neill? The film features readings from Ash Wednesday, the poem written by TS Eliot after converting to anglicanism. 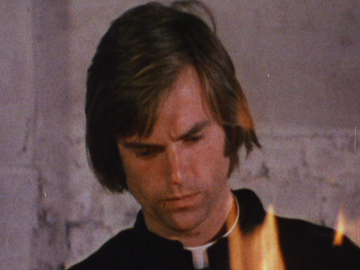 Ashes screened on NZ television on 17 March 1975.